In my Office 365 Tenant belonging to my MSDN Subscription I also found the first indications. I have a look in several other Tenants and can actually not found anything of this. Not sure it´s because of this Tenant is part of an MSDN Subscription. 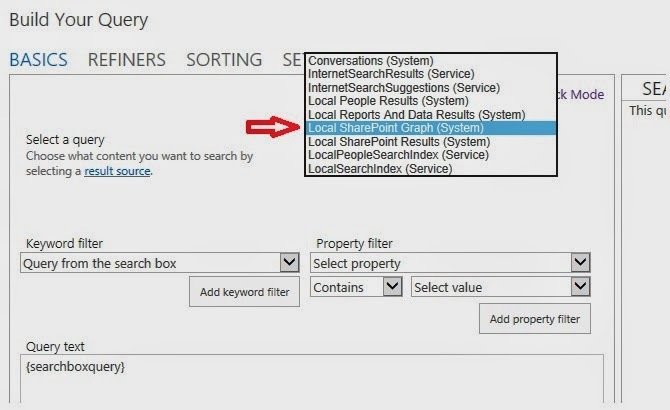 This result source is not shown under SharePoint online administration or in the site settings menu. It’s actually only visible in the Query Builder. Latest news from Microsoft says that the Office Graph gets its own index. We can assume that this new result source is mapped to the new Graph Index. Actually the new result source shows the same results like the “Local SharePoint Results” source. Stay tuned about upcoming news about Project Oslo & the Office Graph….